I just want to quickly get some characters up from an Easter movie that is coming out April 1st called Hop. It's about the Easter Bunny's son who is supposed to take over the family business but decides to go on a path of his own to become a rock n roll drummer. One of the most underrated artists of the 20th century and probably one of the most mysterious artists to have walked this earth. Unless you had an encounter with Ray Johnson this documentary is the only way you will get a peek into this man's life. 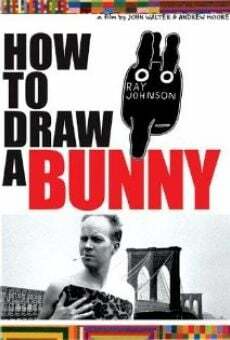 Their collaboration yielded the award-winning documentary How to Draw a Bunny, released in 2002. The film includes interviews with artists Chuck Close, James Rosenquist, Billy Name, Christo and Jeanne-Claude, Judith Malina, and many others.